Here at AAA State of Play we are always trying to find new and exciting products to offer. It is important to us to find the best and most fun equipment for kids. Check our site on a regular basis to see what new things we find! Today we are featuring one of our new products, the Freestanding Crawl Tunnel. 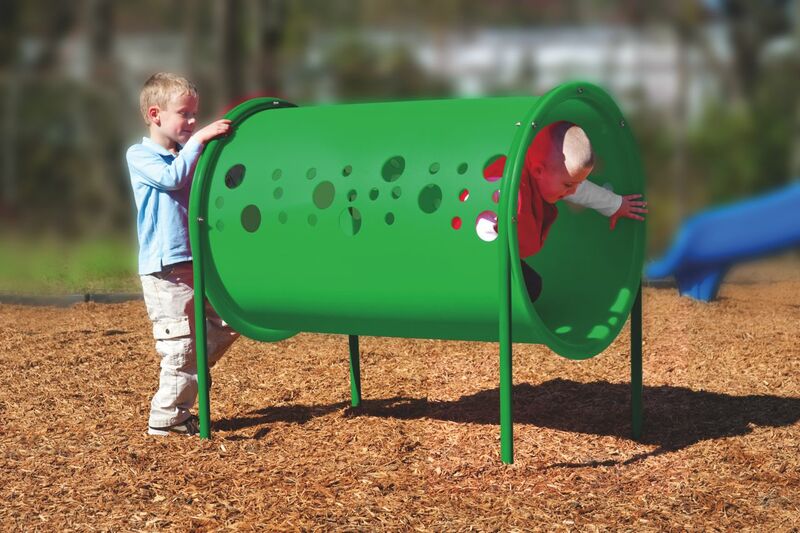 This simple apparatus allows kids to climb through and peer out the sides through portholes. The Freestanding Crawl Tunnel is best suited for ages 2-12. Its easy installation makes it a great choice when you want to add an independent piece to your playground. Check out the Freestanding Crawl Tunnel and all of our other new products!